English Radio interview on Talk Radio Europe. So excited to be on air across Spain and the internet this weekend. 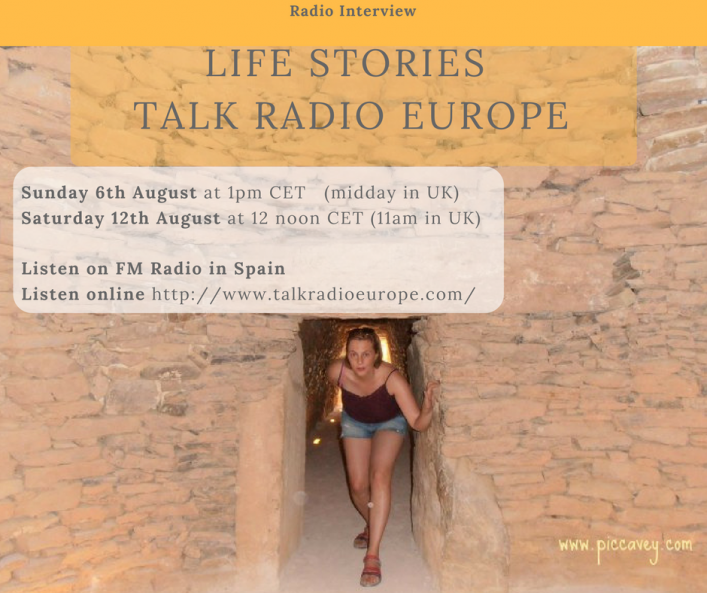 It seems that my turn of being Spain famous is this weekend, when my English radio interview airs on Talk Radio Europe. 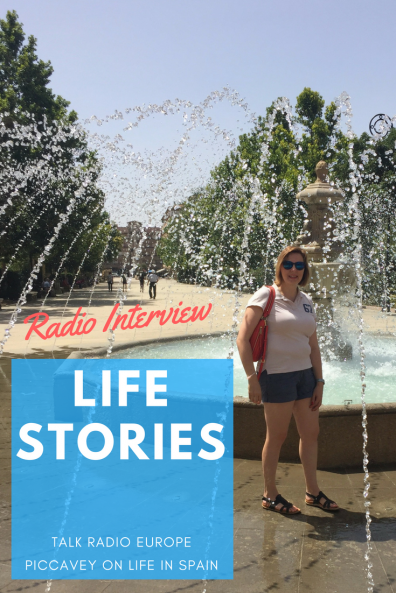 The programme is called Life Stories and it covers people who moved to Spain and what lifestyle they lead now living abroad. Talk Radio Europe is an English radio station online and also on FM too. This radio channel is the only english speaking radio in Spain. After the programme has been broadcast, for 7 Day afterwards you can download a copy of the programme if you want to listen again. Listen to English Radio in Spain. This radio programme, entitled ‘Life Stories’, was launched on Talk Radio Europe in April 2017. Guests are non-Spanish people who have chosen to live in Spain. Chat covers their lives here now, what they did before they moved to Spain and what the future holds. The programme is broken down into 6 parts, including 6 pieces of music that mean something – marking a specific time in their lives, or something with sentimental connections. I am researching Mariana Pineda for an art project for an exhibition next year that I am working on. Have you written anything on her previously ?